At E+L we believe everyone's time is valuable. We understand that sometimes appointments need to be cancelled or rescheduled. Please understand that we require 48 hours notice for all amendments to appointments to ensure that we have time to offer these spaces to other guests. If you are unable to provide 48 hours notice, no sweat, the first one is on us. Every time thereafter you will be charged 50% of your service cost for the missed appointment. If you are excessively late for an appointment you may be asked to reschedule and the cancellation policy will apply. At the time of booking your appointment we will ask to keep a credit card on file. We do not offer refunds, exchanges or credits on salon services. If you received a damaged product we will replace that item. All sales are final. Please let us know if you need any adjustments post service. If for any reason you are not satisfied with your hair give us a call within 3 days and we will make it right. We LOVE YOU and want you to LOVE your hair. 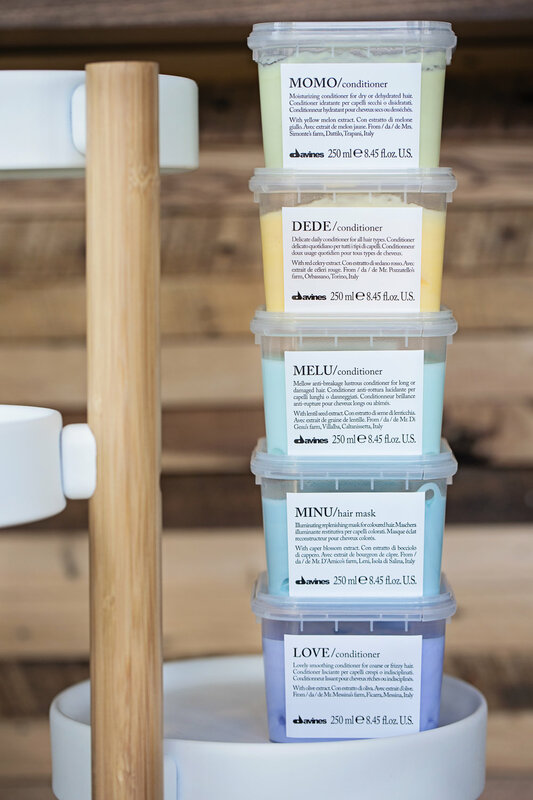 For every guest you refer into the salon for a service you will receive a complimentary regular sized product off our retail shelves of your choice. I KNOW - HOW FUN, RIGHT?! Please understand that we love littles, but unless your child is receiving a service, we ask that you make childcare arrangements so that you and others can have a relaxing experience. Our space is a place to quiet the mind. Please silence your cell phones. We absolutely love transforming your look in a major way! To assure that your desired look is achievable we ask that you schedule a complimentary consultation before booking a creative color service. We take what we do seriously and enjoy creating a custom plan for your hair to reach the best results. Please visit vagaro.com if you wish to schedule a service online. Please note first-time color clients must schedule by phone. Founded in Parma, Italy in 1983 by the Bollati Family, Davines is the only cosmetic company that is a certified b corporation, holding ethical practices for product sourcing and treatment of employees in the highest regard. 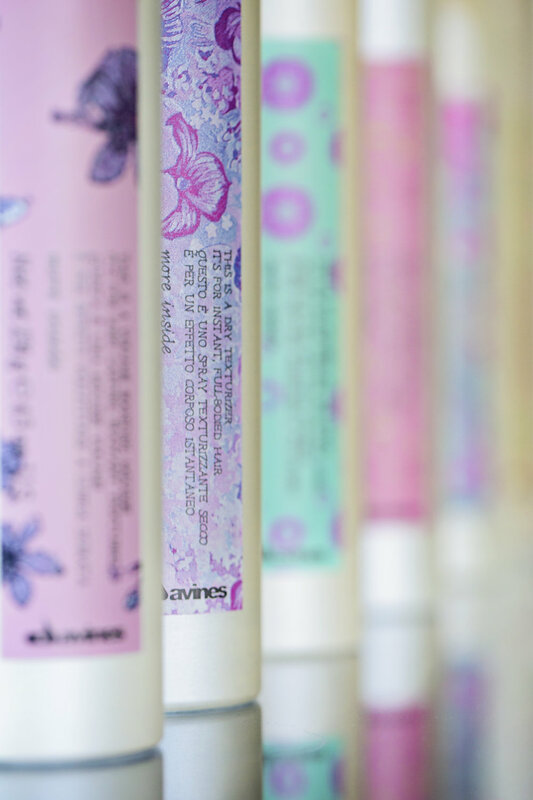 Davines strives to be the best for the world, creators of good life for all, through beauty, ethics and sustainability. Wella has been celebrating a life in color for 135 years. They have been delivering innovations and services that enable hairdressers’ creativity. The company’s story begins in 19th century Germany, with the vision and passion of one hairdresser, Franz Stroher. From there it has evolved and flourished to keep up with the visions of our ever changing culture.